The French social philosopher Jean-Luc Nancy, in his book Being Singular Plural, (2000) posits that existence is inherently co-existence. This deeply humanistic vision of social relations resonates with the traditional African philosophy of life which, in a nutshell, boils down to: ‘I am because we are, and because we are therefore I am.’ (Cobbah, 1987). The spirit of hospitality, community, respect for human beings and even for objects exemplifies this approach to life. 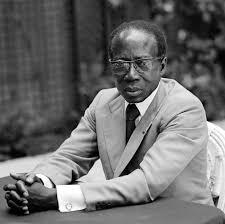 According to Léopold Sédar Senghor, one of the founding fathers of the Négritude movement, this aspect of African culture is a key aspect of black peoples’ contribution to the architecture of a “Universal Civilization” (Liberté 1. Négritude et humanisme, 1964). 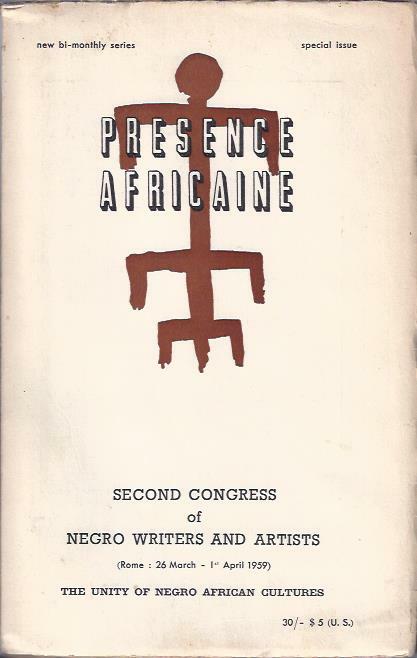 At the second conference of Black Artists and Writers held in Rome in 1959, Senghor argued for the centrality of human beings in all artistic creation and appealed to African artists and writers to produce works that deal with the quotidian realities and challenges of African people. As evidenced by its rich corpus, the primary focus of cultural production in traditional and modern African societies is the longing for the emergence of communities whose daily praxis is driven by the principles of social justice, peace and dignity. The changing conditions in African countries due to multi-party democracies, corruption, civil unrest, famine, natural disasters, disease, poverty, social inequities and wars, have given rise to new discourses informed by this ideal. Furthermore, the emergence of information technologies has also enabled new artistic dimensions in the continent’s cultural production and artists of all disciplines have crafted their works to fit these new realities while placing the rhetoric of humanism at their core. Yet very few cultural and literary critics have explored this interminable quest for humanistic societies in an extensive manner. We invite interested scholars to submit essays analyzing African cultural production through a critical examination of the discursive strategies and frameworks in which the question of humanism is dealt with in any one or more of the following art forms: literature, cinema, video games, performing arts, painting, sculpture, photography, cartoon and music. Essays for the collection will be between 6000 and 6500 words long including notes. Please send your proposal in a Word or Word-compatible document of approximately 300 words in English via an email attachment to the editors Lifongo Vetinde (vetinde@gmail.com) and Jean-Blaise Samou (samouj@ripon.edu) not later than January 15, 2017. Notifications about the status of proposals will be sent out by March 30, 2017. First drafts of essays are expected by July 15, 2017 with final drafts due by September 30, 2017. The anticipated date of publication is 2018 by Lexington Books.